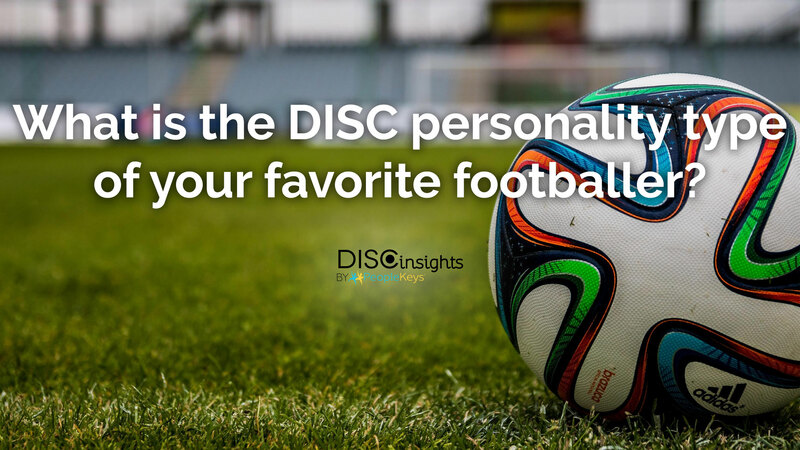 What is the DISC Personality Type of Your Favorite Footballer? You can’t have a discussion about the World Cup without the name Cristiano Ronaldo coming up. 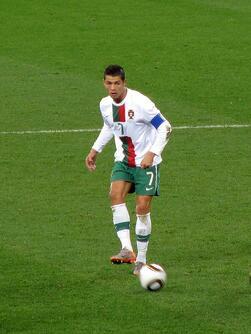 The Portuguese footballer has been described as “unstoppable,” “predatory,” and “intense.” And for good reason. One of the most talented players the game has ever seen, Ronaldo is hyper-competitive, confident, and has the talent to back up his swagger. A prolific striker, Ronaldo holds more than his fair share of scoring records and has been named player of the year multiple times. In January 2014 he hit a major milestone, scoring the 400th goal of his career while playing for Real Madrid. Like a true D personality, he dominates on the field. He likes to call the shots, is aggressive on the offense, and hates to lose. His personality style also makes him prone to impatience—He lacks tolerance for the mistakes of his teammates and can often be seen on the field groaning, yelling, and making frustrated gestures with his hands. Still, as a team leader, he commands respect and admiration (and a healthy dose of fear) from everyone he plays with. Herculez Gomez is a Mexican-American soccer player that currently plays for Tigres UANL. He’s widely considered to have one of the biggest personalities in the sport and is well-known for his sense of humor and outspoken nature. His I style personality can be seen on display with his playful antics on the field and contagious smile. He’s also a superstar on Twitter. Gomez is very active on social media and has been described as “a voluble and occasionally indiscreet Twitter presence.” He likes to participate in the pop-culture conversation about his sport and often takes to Twitter to make good-natured quips about everything, from nasty posts that fans have made about him to criticisms of FIFA and the Major League Soccer Commissioner. It’s clear that Gomez loves the spotlight. He’s friendly, extroverted, and charming and a definite fan favorite. 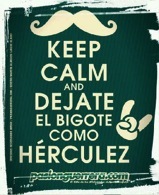 Fans love him so much that a major trending topic on Twitter has become #MeDejoElBigoteComoHerculez (‘I let my mustache grow like Hérculez’). 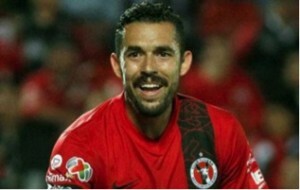 Fans have taken to growing mustaches in the style of Herculez Gomez and posting photos of themselves on social media. In the stands, too, it’s easy to spot Gomez fans—They’re the ones wearing giant fake mustaches. The fans’ tongue-in-cheek, playful support of Gomez is a tribute to his magnetic I style personality. After all, imitation is the sincerest form of flattery. "A Herculez Gomez fan, sporting a seriously epic Gomez-style mustache"
S personality types are dependable, kind, and compassionate. Though those aren’t personality traits typically associated with on-the-field World Cup game play, Sergio Ramos definitely has built that reputation for himself both on and off the field. Ramos is a team player, one that is less concerned with being in the spotlight than he is the success and cohesion of his team. He is frequently described by other players as loyal, honorable, and good-natured. He is the heart of his team Real Madrid and is almost universally liked by everyone in the sport. Fans recognize him for his power and technical proficiency on the field, but those that know him are impressed by his strength of character as well. Other players at his skill level can be volatile and overbearing. Ramos defies that stereotype. Vicente Del Bosque, team manager for Spain, had this to say about Ramos: “He’s a really nice lad, good-natured, obedient, an optimist and committed to his club and national team.” Clearly, Ramos is truly emblematic of the best qualities of S personality types. The ”who’s a better player: Lionel Messi or Cristiano Ronaldo?” debate has waged on for years. Perhaps it’s easier to say they are different in style rather than better or worse than one another. Ronoldo’s style (both on and off the field) is more aggressive and extroverted. Messi, however, has built a reputation for himself as one of the most intelligent, strategic, and technically proficient players the game has ever seen. Off the field he has a reputation for being reserved and inwardly-focused. In comparison to other soccer players, too, he lives a private and simple life out of the public eye. Also in true C personality style, Messi sometimes tries to take on too much himself. He occasionally is so focused on his own performance that he forgets to look to his teammates for help, often preferring to retain control of the ball himself. But his skills are unquestioned. Bradley Johnson of Norwich City perhaps put it best when he said, “Lionel Messi was made in a laboratory, he’s not human.” Truly, Messi’s level of skill seems otherworldly. But it comes from a lifelong commitment to practice and study. Messi has the patience and meticulous nature of a C that drives him to practice drills over and over again until he reaches perfection. He’s possessed this C style trait since he was very young. From the age of 3, Messi practiced soccer every day, from sunup to sundown. It’s no wonder that when he plays, it almost seems like the ball is glued to his feet. If you can relate to some of these players, check out the blog on Why You Should Watch The World Cup!